We all know that sunglasses protect your eyes from harmful rays – but how? What is the best tint colour for you? How about polarising? What does a mirror effect do? So many questions, it’s hard not to get confused! So I’m going to break it down and tell you about the different aspects of a pair of sunglasses. Protect your eyes from UV rays from the sun. These can damage your eyes due to being high-energy light waves. Shield your eyes from intense light. The tint is the colour of the lens. Most commonly sunglasses use either grey, green or brown tints, though pretty much every colour is available! Each different tint will have a different effect, as shown in below. Grey is a good general purpose tint for sunglasses, working in almost all conditions. This shade can reduce eye fatigue, minimise glare on water, and is the darkest tint with the highest available light reduction. Similarly to the grey tint, green is a good general purpose colour. It offers even colour perception, dims glare and brightens shadows, and gives good contrast in low light. The brown tint enhances contrast, improves depth perception, and is the best choice for patients with Macular Degeneration. Both the brown and grey lenses are the most suitable for driving. A thin coat is applied to a lens to make it polarised – this coat contains molecules which lay horizontally and naturally trap any light that aligns horizontally – which typically glare does. You can actually test whether or not a lens is polarised by looking at glare through the lens and then tilting the frame to the left or right – if the glare gets brighter, the lenses are polarised. This coating is best used at sea, when playing outdoor sports or for driving. Choosing a mirrored coat is a good idea if you’re particularly sporty – as well as looking very cool they reduce the amount of light passing through the lenses by a further 10-60%. The colour of the mirror is completely independent of the shade of tint; for example you could have a green mirror finish on top of a grey tint, appearing grey when you look through it, but green to the outside world. At North, all of our lenses come scratch-resistant as standard. They are treated with a hard coating, making them tougher and more hard wearing. This is a really good idea if you have a high prescription, as the more curved the lens, the more it reflects. With the anti-reflective coating, it works to improve your vision by concentrating more light into your eyes rather than being reflected by the lens, which especially helps vision at night. When used with sunglasses, the coating is applied to the back of the lens, meaning when you’re facing away from the sun, the reflection won’t catch and get in your eyes. So. Which sunglasses to choose? Here at North we have a diverse and fantastic range of sunnies, from the traditional to the slightly wacky! 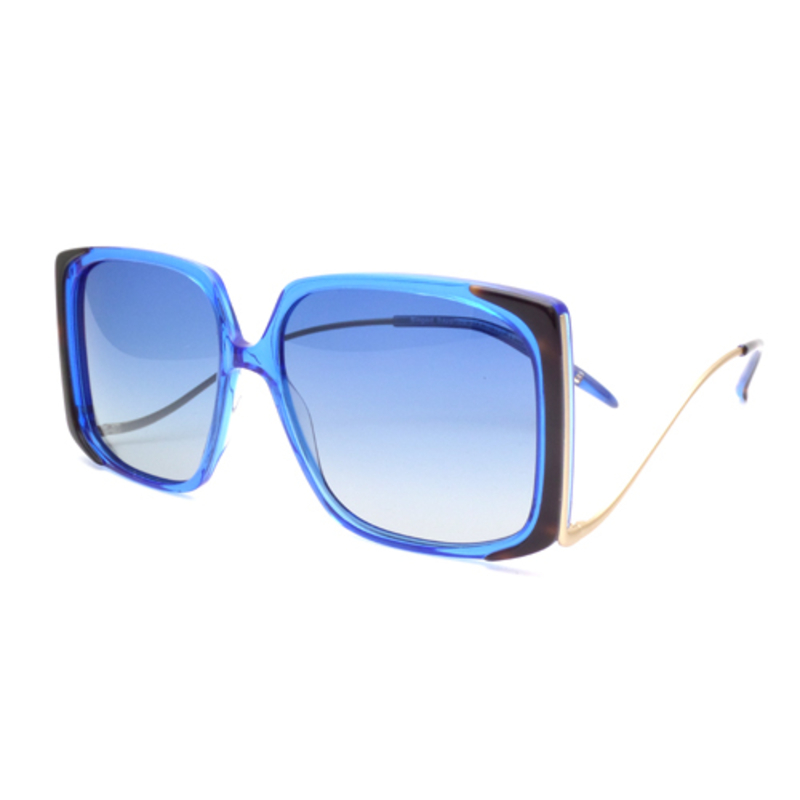 This is Farrah by Booth and Bruce, really gorgeous blue sunglasses with a hint of tortoiseshell and a lovely silhouette. Salt have this beautiful frame, Brower. With its antique silver finish and the etchings around the lenses and on the arms, you can really see the tiny details that Salt put into creating every frame. Last but definitely not least, I must show you Bawden by Walter and Herbert. 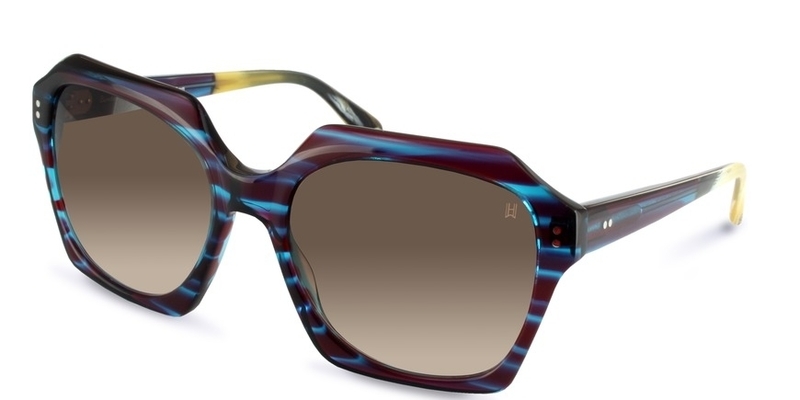 Blackberry purple with turquoise in the acetate is gorgeous, and though the shape of the frame looks a bit ‘out there’, it’s one of the most flattering sunglasses in store; it suits every face! You’d definitely stand out in these. All of the above frames are available in store. Now you know everything there is to know about sunglasses, pop ina and try some on! https://northopticians.co.uk/app/uploads/2018/08/wh-header.jpg 267 800 North Opticians North Opticians2018-08-21 14:06:142018-08-21 14:06:14All about sunglasses!